Download our Case Study for Loretto Health, or Request a Quote! Striking a balance between security and freedom in a senior living facility is difficult. ResidentGuard enables both by allowing residents the mobility they need, without sacrificing safety. 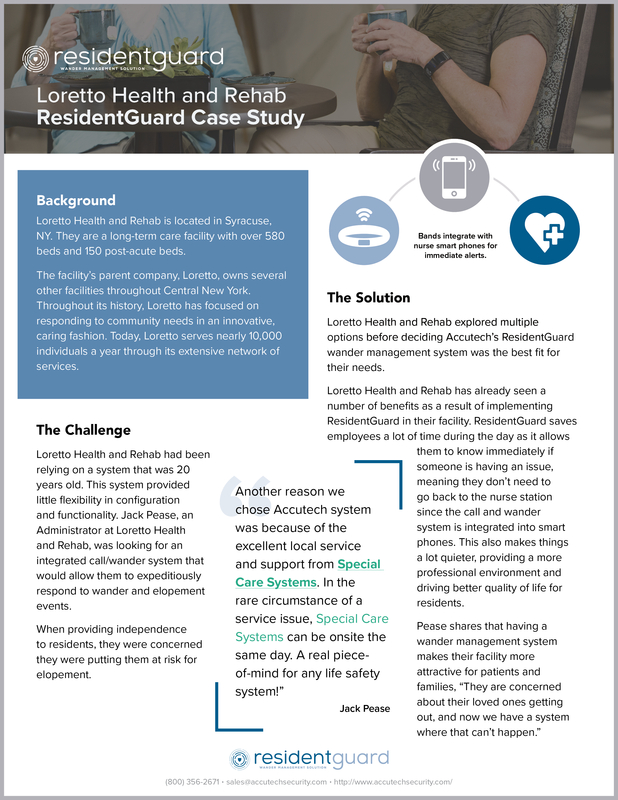 One facility’s experience switching to ResidentGuard after using a different solution. The unique benefits of the ResidentGuard Wander Management System. Why clinicians across the world trust ResidentGuard to protect their residents.